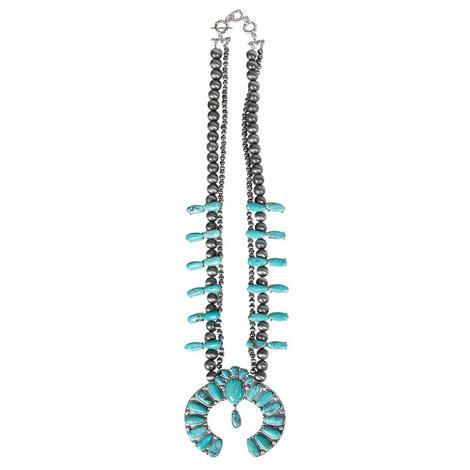 This beautifully crafted Navajo pearl necklace with turquoise pendant is a joy to wear. It's 28 inches long with a 4" long natural turquoise squash blossom pendant. Nickel, lead, and chrome free. Add this to your collection today! 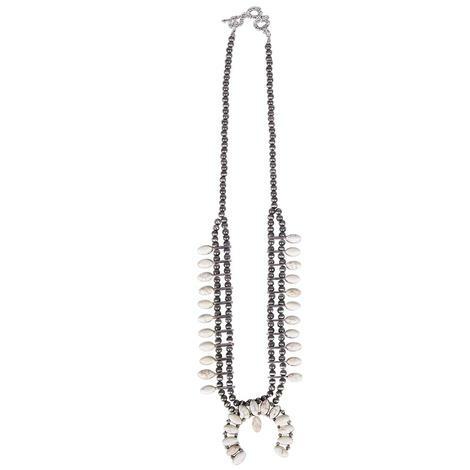 This beautiful necklace is great for any occasion. 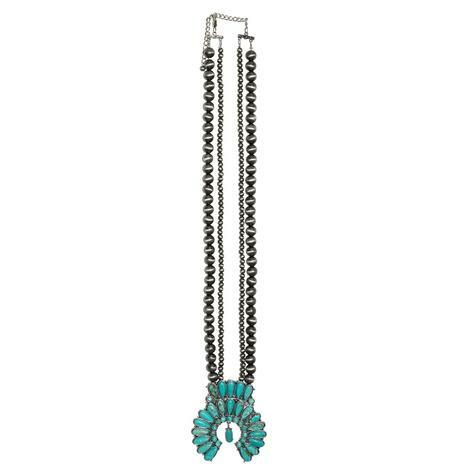 It is 30" long necklace with a 5" extender. Nickel, lead, and chrome free.